The Take Action Child Handout Workbook is part of the Take Action program and is to be used only in conjunction with the Take Action Practitioner Guidebook. 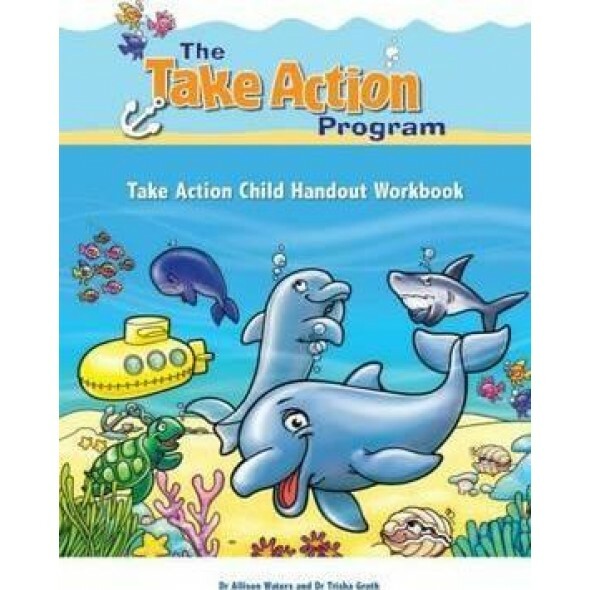 It provides all 84 Child handouts and work sheets from the Take Action program bound and numbered in a 92-page colour cover A4 sized book with contents page. The Take Action program teaches children aged 4–12 years helpful ways to cope with and manage anxiety. It is an evidence-based intervention combining recent research on threat-based cognitive biases and maladaptive thinking styles in childhood anxiety disorders with the well-established principles of cognitive behaviour therapy (CBT).